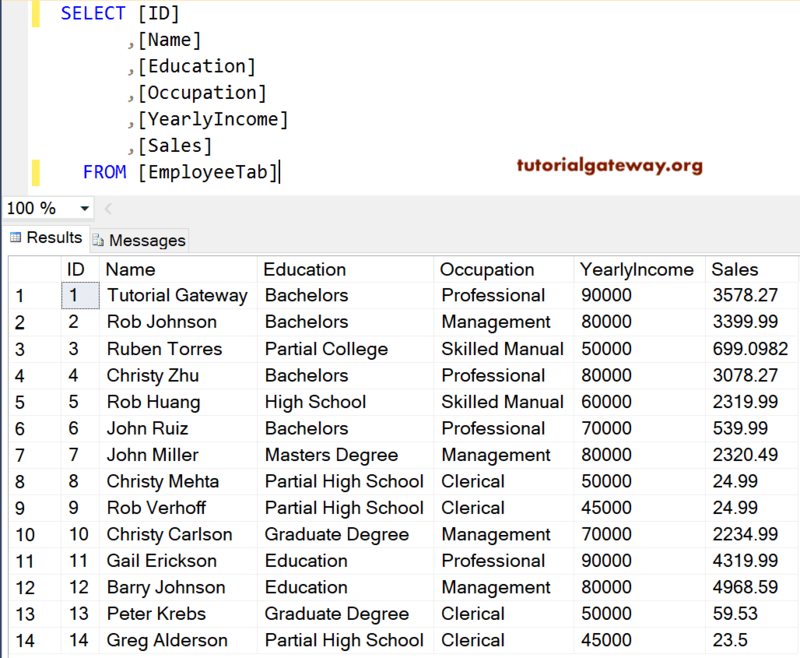 The SQL Dynamic Cursors are exactly opposite to Static Cursors, and you can use this cursor to perform INSERT, DELETE, and UPDATE operations. Unlike static cursors, all the changes made in the Dynamic cursor will reflect the Original data. 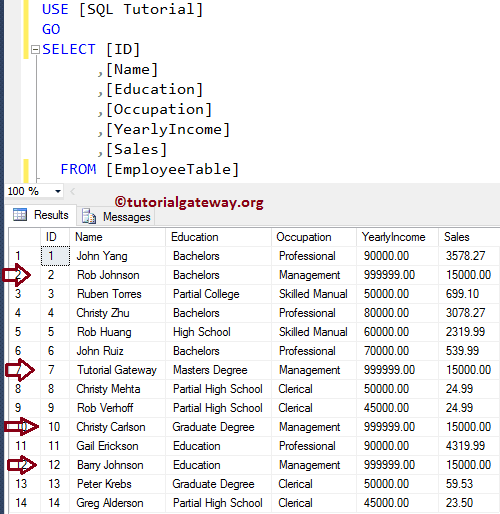 In this article, we will show you, How to Create a Dynamic Cursor in SQL Server, and how to perform both Updates, and delete operations within the dynamic cursor with an example. In this example, we will show you, How to declare and open a dynamic cursor in SQL Server, and how to perform the Update operation within the SQL dynamic cursor. 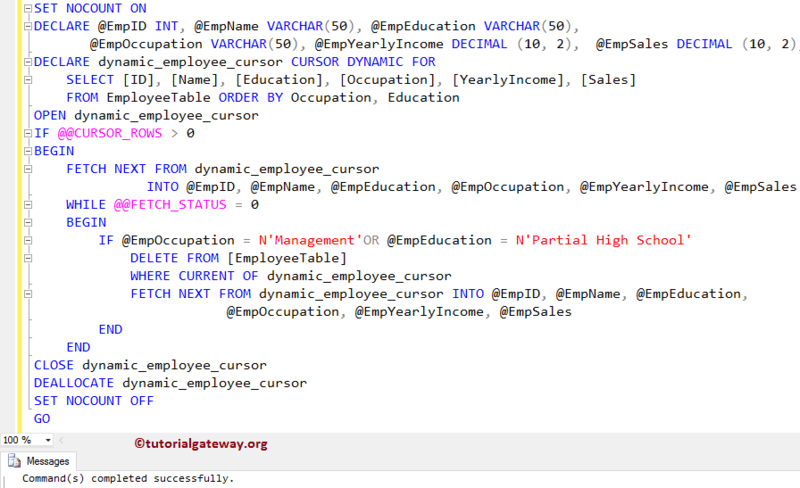 Below statement will fetch the next record from dynamic_employee_cursor into already declared variables. Then, we used the WHILE LOOP to loop over the cursor elements, and within the loop, FETCH_STATUS is used to check the status of the FETCH statement. and if the condition is TRUE then the cursor will use the UPDATE statement to update the yearly Income and Sales Amount. 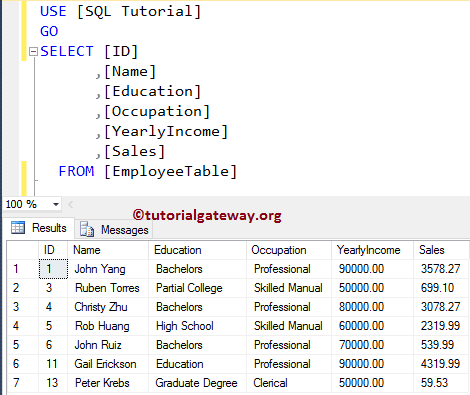 TIP: If your table (here it is Employee table) has the Primary Key then only you can use the WHERE CURRENT OF statement, otherwise, it will throw an error. and then, we used the FETCH NEXT to get the next record from the cursor. Lastly, we used the CLOSE, and DEALLOCATE statements to close, and deallocate the cursor. Please use the following SQL Query to check whether the Cursor has updated the records in the Employee table or not. 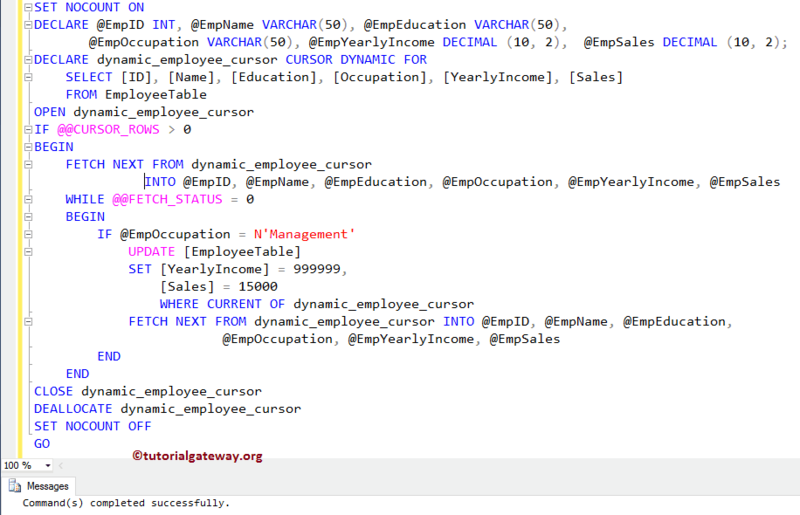 In our previous example, we have shown you, How to use the SQL dynamic cursor for update statements. In this example, we will show you, How to perform the Delete operations within the dynamic cursor. and if the condition is TRUE then the cursor will use the DELETE statement to delete that record.